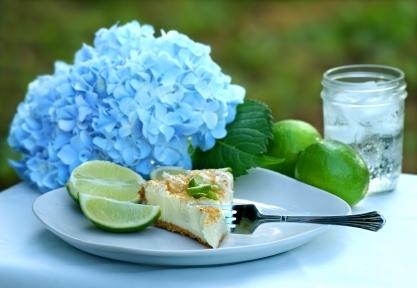 My best key lime pie recipe from scratch produces a scrumptious creamy filling; not too tart - not too sweet. I have more homemade pie recipes from scratch that will impress your family and are easy to make. It takes approximately 20 key limes for 3/4 cup of lime juice. Cut the limes in half and use a garlic press to extract the juice; set aside. Bake in preheated oven for 5 to 8 minutes, or until tiny pinhole bubbles burst on the surface of pie. DO NOT BROWN. Chill pie thoroughly before serving. Garnish with lime slices and whipped cream if desired. Process the graham crackers in a blender or crush them with a rolling pin. Put ingredients in the bottom of the pie plate and mix well. Press into pie plate. Bake for 5 to 7 minutes or until light brown. Cool and fill. Cook the above ingredients in a heavy saucepan over medium-low heat. Whisk constantly until it reaches the desired consistency. It takes 45 minutes for sweetened condensed milk and 1-1/2 to 2 hours for dulce de leche. Add 1/2 teaspoon of vanilla after removing from the heat. Cool before using. Beat above ingredients together until soft peaks form. So easy to make and so good. I offer more than my best key lime pie recipe. Please check out more of my favorite homemade dessert recipes below.